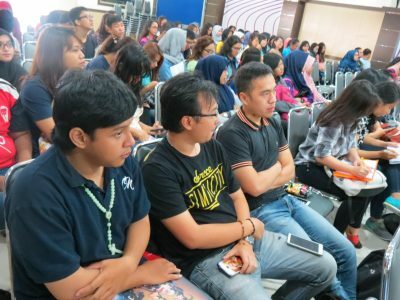 Universitas Surabaya (UBAYA) membuka kesempatan bagi calon mahasiswa untuk mendaftar secara online melalui 3 jalur yang tersedia, yaitu: Jalur Tanpa Tes (JPMK), Jalur Tes (Umum) dan Jalur Tes Kedokteran (Khusus Fakultas Kedokteran). In its 36th year of age, the Faculty of Psychology at UBAYA has become a respected institution amongst professional psychologists, government institutions and society. This long journey towards respectability has been built built since the faculty’s establishment on the commitment from its lecturers and staff.